The store is located in Fukuoka Momochi, the largest commercial facility in western Japan with 125,000 square meters of floor space filled with 163 shops and facilities. In addition to a collection of well-established brands, the mall features, for example, functional baby and children’s areas, AI-powered touch panels that serve in four languages, and even some robotic cleaning droids. The store celebrated its grand opening on November 21 and carries Arc’teryx’s full line of outdoor products. “The Fukuoka brand store is an important addition to our D2C presence in Japan. Fukuoka is the largest city in the Kyushu area and the sixth largest city in Japan”, said Koji Sato, head of retail, Amer Sports Japan. “We have had an excellent start at the grand opening of the mall, 2,000 people lined up at the door before the store was opened. Next, we will strengthen our offering for women and the 24 series to meet the needs of the mall visitors even better. 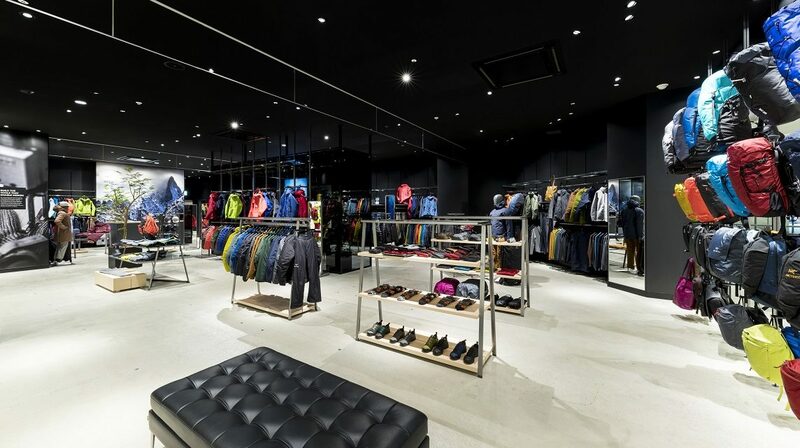 In Japan, Arc’teryx already has stores in Tokyo, Yokohama, Osaka, Kobe and Nagoya. Globally, the brand has 37 stores.